Merritt C. Gray was married. 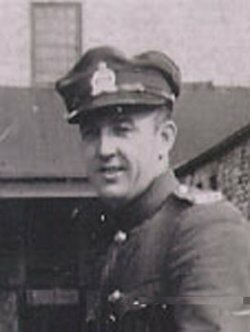 On April 26, 1948 Constable Gray was operating a police motorcycle on Princess St. in Kingston. While attempting to pass a vehicle his motorcycle struck a patch of oil, swerved and struck an unpaved area. He was thrown from the vehicle and struck his head on the pavement. He died four days later in hospital.